07.02.2011 » Valdano: "Cristiano Ronaldo is the 21st century Di Stefano"
Jorge Valdano is convinced that Cristiano Ronaldo is the new Di Stefano. The Real Madrid director added as well that he wouldn't trade Cristiano Ronaldo for any other player in the world. Jorge Valdano said this past weekend, that Cristiano Ronaldo is the 21st century Di Stefano and not Lionel Messi, as Quique Flores suggested a few days ago, after having loss to Barcelona by 3-0, with an hattrick from the argentinian star. 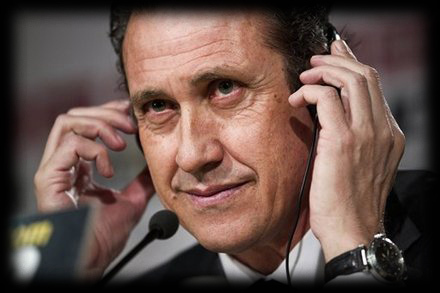 Valdano: "The 21st century Di Stefano isn't Messi. It's Cristiano Ronaldo, who moreover wears the same shirt as Di Stefano. Ronaldo is a decisive player who will certainly make history at this club. We wouldn't trade him for anyone, but we have to recognize that both Messi and Cristiano Ronaldo are tremendous players who add a lot of quality to the Spanish League." The journalists also asked Valdano about the recent disagreements with José Mourinho, but the "merengues" director rejected the existence of any conflict inside the club: "We have to focus exclusively on the team and be more competitive. Right now, we are all happy. Our job is to give comfort to the coach and allow him to be happy with his work, so he can give everything he can to the club. Everything is normal at the moment." Real Madrid will play this Sunday against Espanyol, in La Romareda and most of the squad players are in international duties for this middle week friendly matches all over the world. Cristiano Ronaldo just joined his National Team teammates today in Switzerland, where he'll play against Argentina this Wednesday. Ronaldo7.net plans to bring you livestreams for this game aswell, inside the live section.